PANDORA – An agriculture district has been established in the village to protect local farmers from lawsuits. During the March 26 council meeting, council gave approval for an agriculture district after an application was filed by Daryl Bridenbaugh of Pandora. The approval came following a required public hearing on the matter before the regular meeting. An agricultural district provides protection for farmers from nuisance lawsuits, defers expensive development assessments until the land is changed to a non-agriculture use and offers state scrutiny of local eminent domain acquisitions in certain cases. Other municipalities, including Ottawa, have approved agriculture districts since voters in Toledo approved an initiative Feb. 26, named the “Lake Erie Bill of Rights.” The measure allows citizens to sue polluters on behalf of the lake. Lake Erie provides drinking water for 11 million people and past problems with Lake Erie’s water quality prompted organizers to find new ways to safeguard it. In 2014, Toledo issued an advisory for residents not to drink municipal water after tests found unsafe levels of an algal toxin. The bloom left 110 people sick and nearly half a million without tap water. Landowners can qualify for an agricultural district with 10 or more acres of land that generates an average of at least $2,500 annually for three years prior to application. This status needs to be renewed every five years. Nuisance lawsuit protection is given if the farmer follows acceptable best management practices. This can serve as an affirmative defense in frivolous lawsuits for orders and noises associated with agriculture. Another aspect of development that can impact a farm is the extension of water, sewer and electric lines. These lines are usually paid for by the landowner and often assessed on frontage, so farmers with extensive footage could face costs large enough to require selling a portion of the farm. The law defers the assessments on agricultural district farmland, excluding the homestead, until the land is changed to another use or withdrawn from the agricultural district. Fiscal Officer Kim Reese informed council the land involving the village lagoon system - 37.11 acres – is not in the corporation limits and Council approval is not needed to include that area in the district. But council approval was needed to allow her to file the application with the County Auditor. • following an executive session, approved a lot split for the proposed Dollar General store. The company is pursuing the purchase of 1.45 acres in the village industrial park. The village is supposed to be paid $65,000 for land in the industrial park but the village needs to make some improvements to the area that will take half that amount. • approved the recommendation of the village’s Tax Incentive Review Committee to allow Pandora Grain to continue with its Community Reinvestment Area. • heard updates from Mayor Jeremy Liechty to the Arthur-Lugibihl Community Center. There has always been a bad drain in the facility and complaints have increased. The drain has now been totally revamped thanks to volunteer help and minimal costs. There are also plans to re-do the floor in the center. 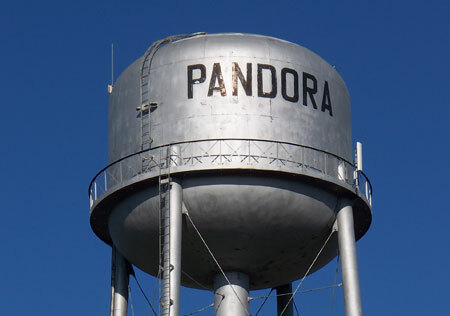 The next regular meeting of the Pandora Village Council is scheduled for Tuesday, April 9, at 7 p.m. in the village offices.